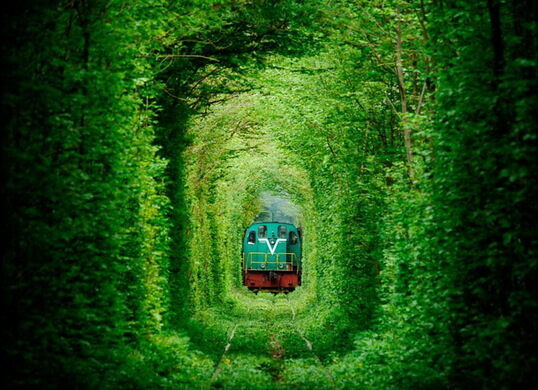 Just outside the city of Klevan in Ukraine, a nearly two-mile stretch of private railway has turned the surrounding trees into an enchanting natural tunnel. 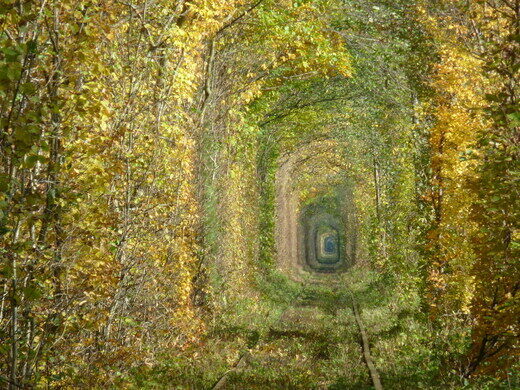 A train transporting wood to the nearby fiberboard factory runs three times daily. 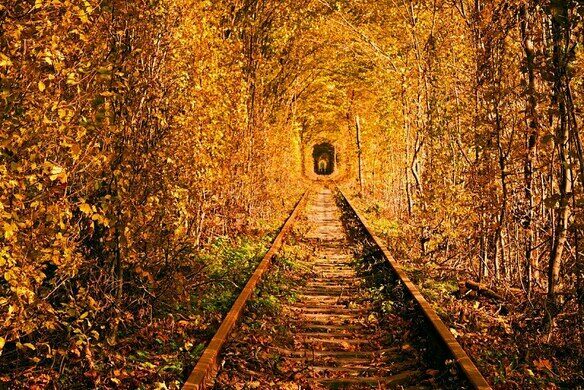 Otherwise, the railway tracks through the tree tunnel make for a lovely stroll for couples and singles alike. 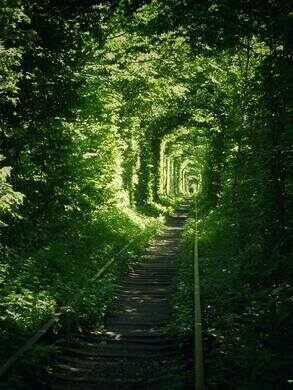 The romantic setting earned this stretch of track its nickname, the “Tunnel of Love.” It’s also called the Green Mile Tunnel, for the bright leafy branches that arch over the railway. 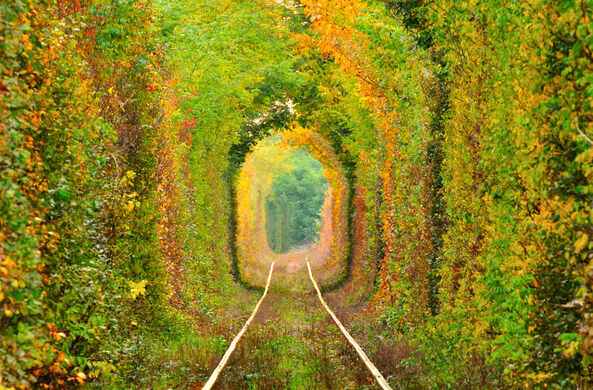 The tunnel is at its lushest during the spring and summer when the trees are at the peak of their leafiness, but the colorful foliage of fall and snow-covered branches of winter make for captivating sights as well. 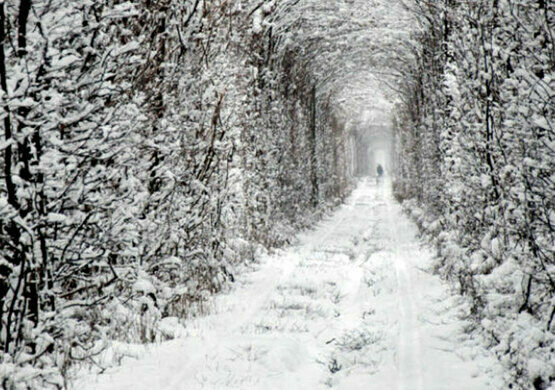 Local legend has it that couples who visit the tunnel will be granted a wish, provided their intentions are sincere. Monumental sculptures guard many of the graves, transforming this necropolis into an open-air fine art museum. This Ukraine alleyway has become its own little island of forgotten things. This street has over a half-dozen names, all at once. 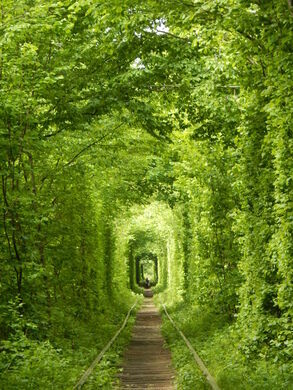 The romantic botanic tunnel feels like a well-kept secret. A tree grown from astronaut seeds which were exposed to cosmic rays.